Urban pest birds such as pigeons are becoming a real problem in all areas. 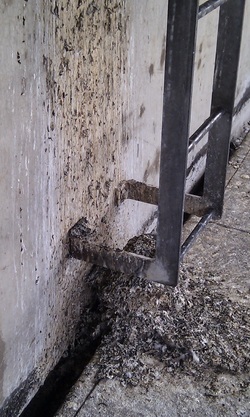 Bird droppings look unsightly and will damage buildings through direct chemical action. Bird droppings can also block gutters and drains leading to water damage. Pigeons (Feral Pigeons) in particular transmit human diseases such as ornithosis, allergic alvealitus, cryptocosis, salmonella and toxoplasmosis. 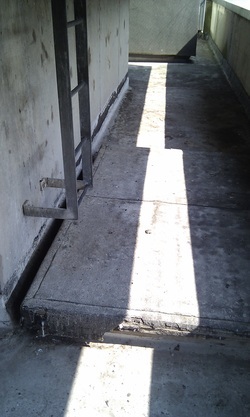 The droppings when wet are extremely slippery and can lead to problems in public areas. They can also block flues and chimneys causing the build up of toxic gas internally. They can block up air con units and ventilation ducts which spreads toxic dust through the building. The picture above is the before picture and the picture to the right is the after shot.